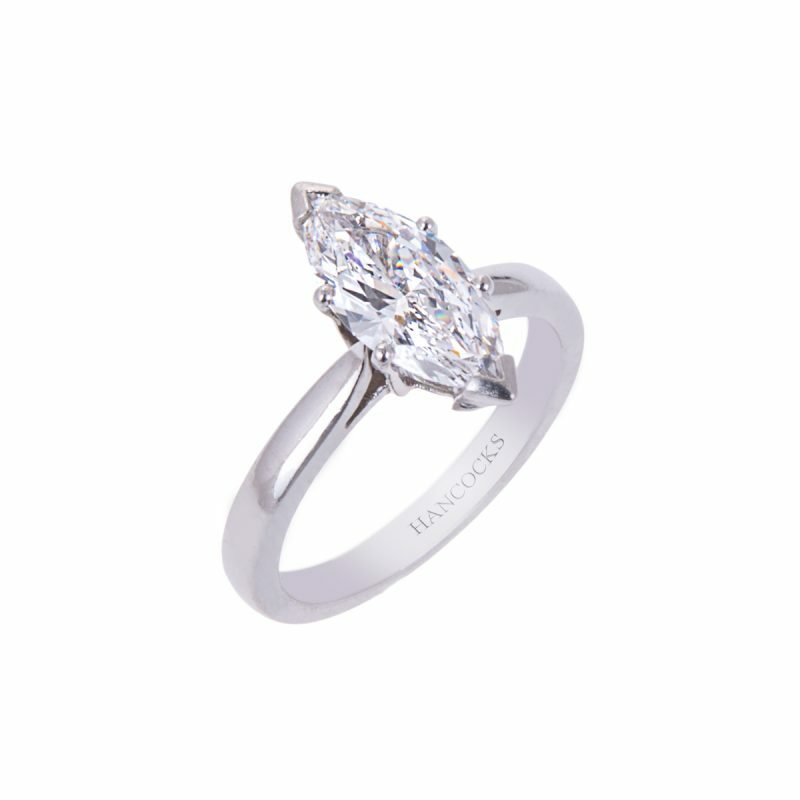 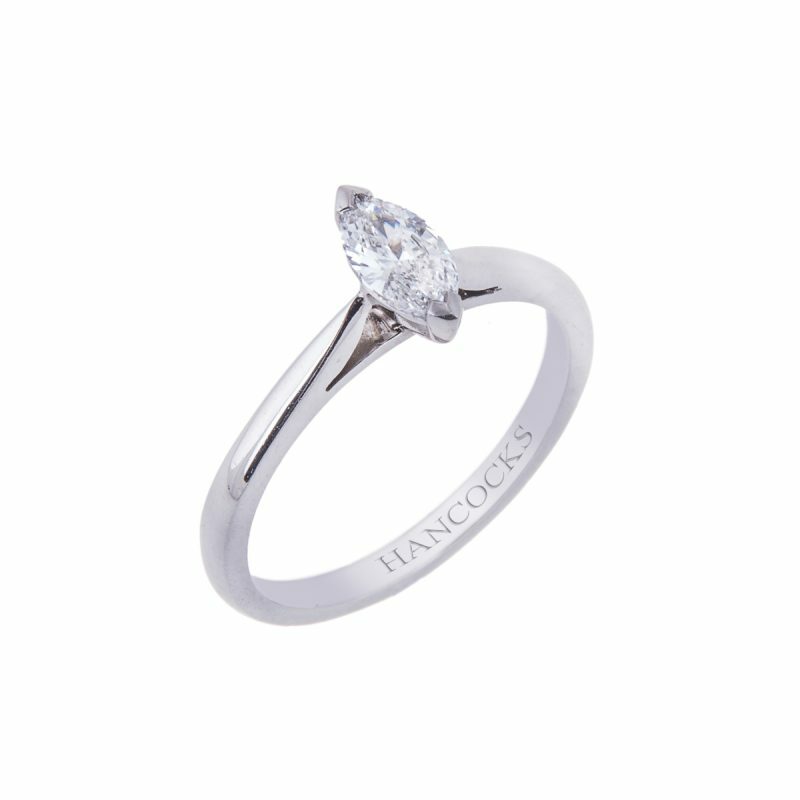 There is no denying that marquise shaped diamonds are a unique and beautiful cut of diamond and this solitaire ring does not disappoint. 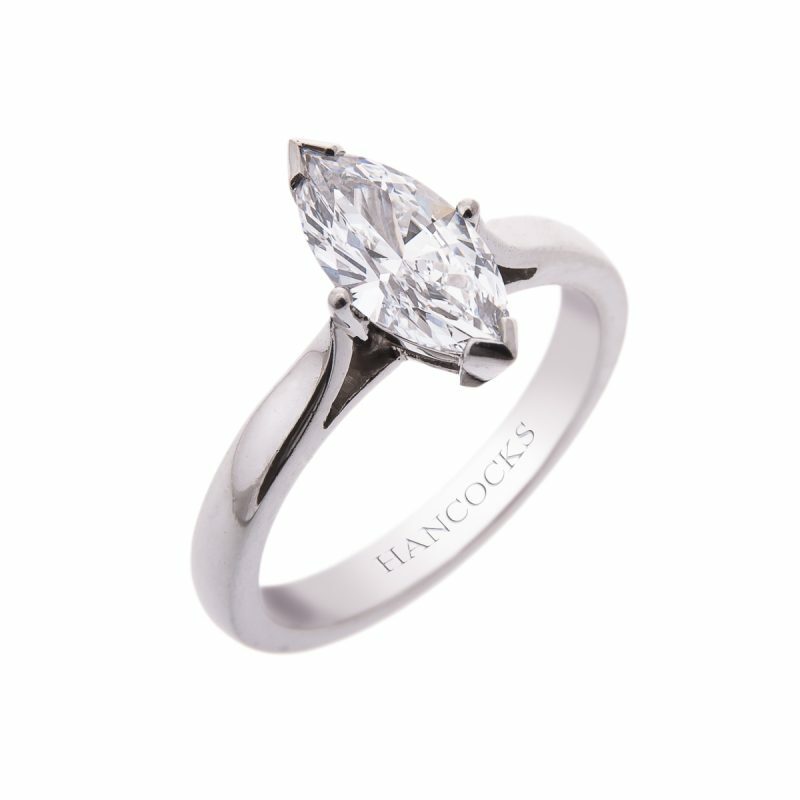 There are a number of things to consider when buying a marquise shape, not only must the diamond being an exceptional colour and clarity, it must also be cut very well, with a clearly defined shape and good symmetry and exhibit that classic boats shaped profile . 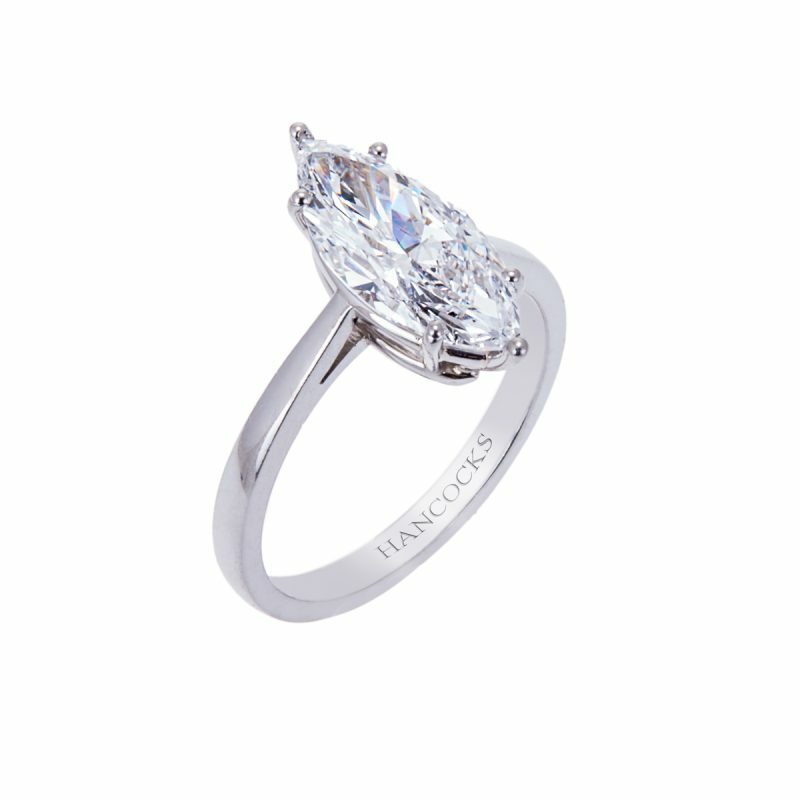 Mounted in a classic platinum claw setting, this ring is sure to be treasured.